More than two hundred years ago, Dr. William Paley wrote a series of books that marshaled evidence for the Christian faith. His books were often required reading at major institutions of learning. Believers and unbelievers alike wrestled with Paley’s arguments and his compelling presentation of them. 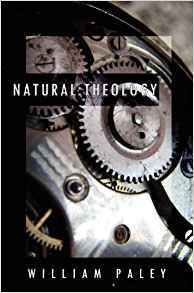 Paley’s Natural Theology was one of those books. In it, he showed from biology and human anatomy that the argument for design was a clear and self-evident inference from the facts, and from that point of departure proposed that only a designer God could adequately account for those facts. His famous analogy from an intricate watch to the required deduction that there exists a watchmaker persists to this day. When evolutionary theory rose to dominance, it was thought that Paley’s views on ‘intelligent design’ had been fully put to rest. However, each new generation discovers anew that evolutionary theory requires them to accept as true what appears, on its face, to be patently absurd: that immense complexity, surpassing in its apparent genius what 1,000 human geniuses cannot create was nonetheless the product of unguided, intrinsically dumb, natural forces. Unsatisfied, they consider the alternatives. The argument is sure to rage for another two hundred years and Dr. Paley’s Natural Theology will prove to be relevant then as it is relevant today, advances in our understanding of biology notwithstanding, and, actually, because of those very same advances. “I do not think I hardly ever admired a book more than Paley’s Natural Theology: I could almost formerly have said it by heart.” Charles Darwin, 1859.